« Announcing… the youth photo winners! Opening reminder: It All Comes Together Friday Night! 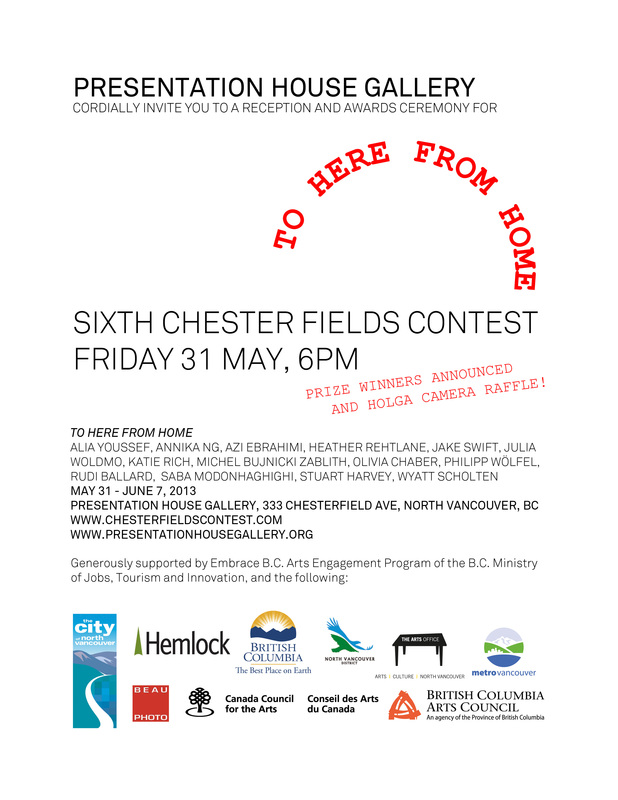 Make thy way to the Presentation House Gallery on Friday, we will celebrate the talent of our Chester Fields contest! We have loads lined up from 6pm, including the opening of the To Here from Home exhibition, the announcement of our three prize winners (two of $250 and one of $500), a raffle for two Holga cameras, and of course the launch of our Chester Fields catalogue publication!